25th November 2015. 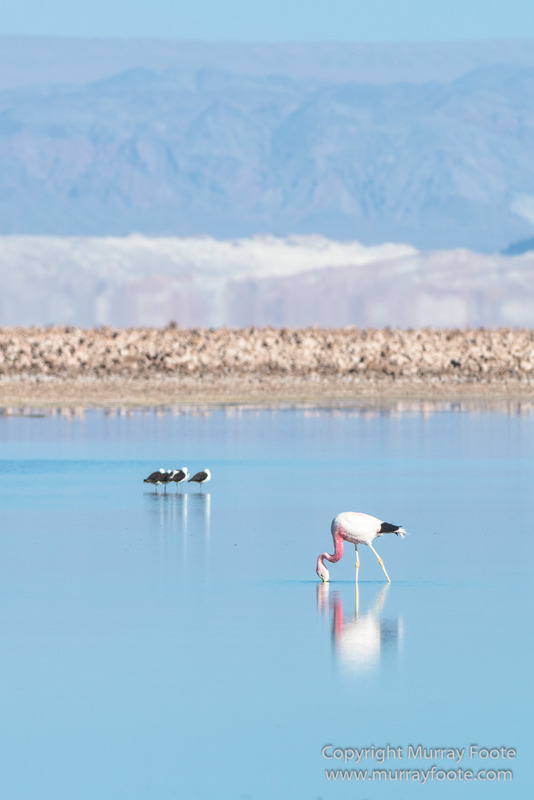 Laguna Chaxa, Salar de Atacama, Atacama Desert, Northern Chile. 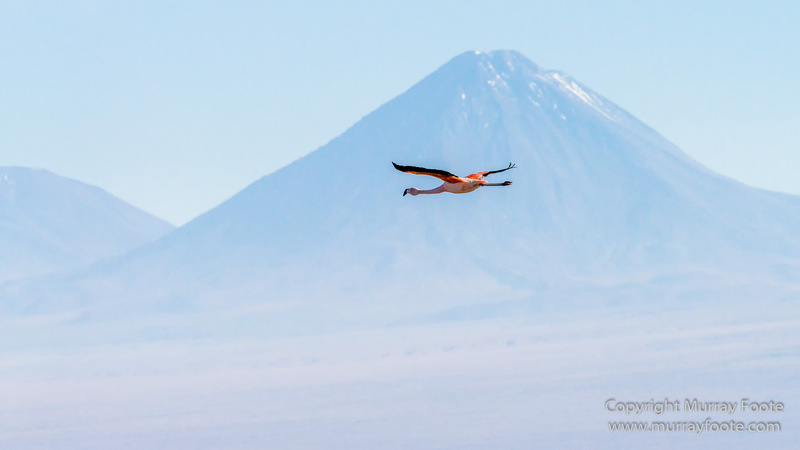 Chilean flamingo in front of Licancabur volcano. 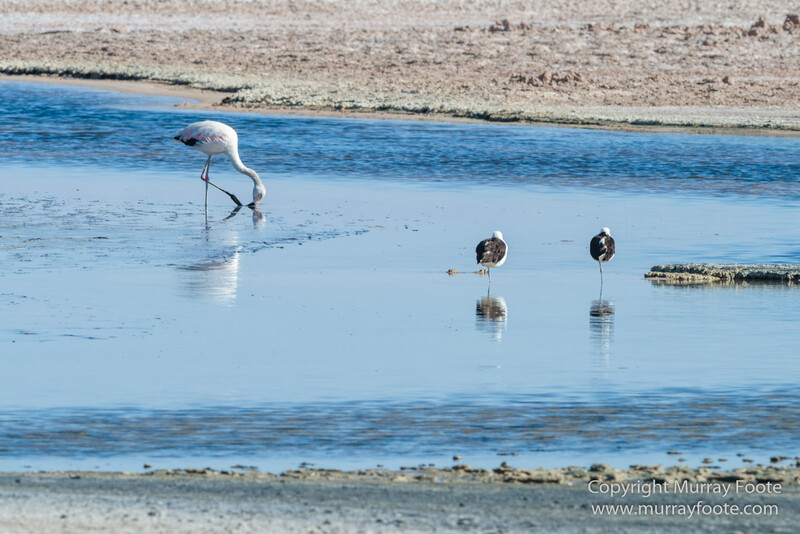 Chilean flamingo along with two kelp gulls, maybe. 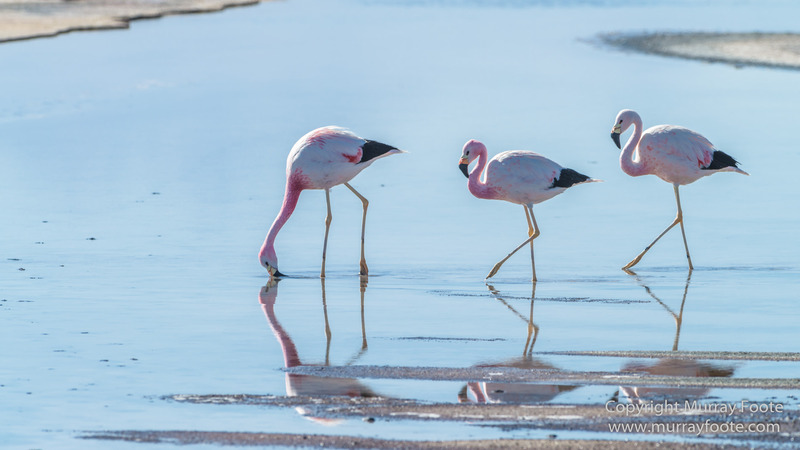 Probably a young flamingo. They get their colour from the algae they eat and are paler when young. 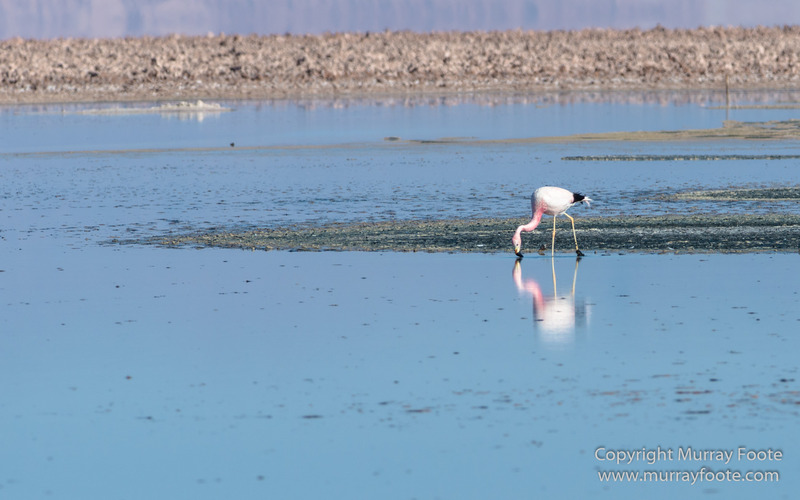 This and following flamingos are all Andean flamingos, one of the worlkd’s rarest flamingos. 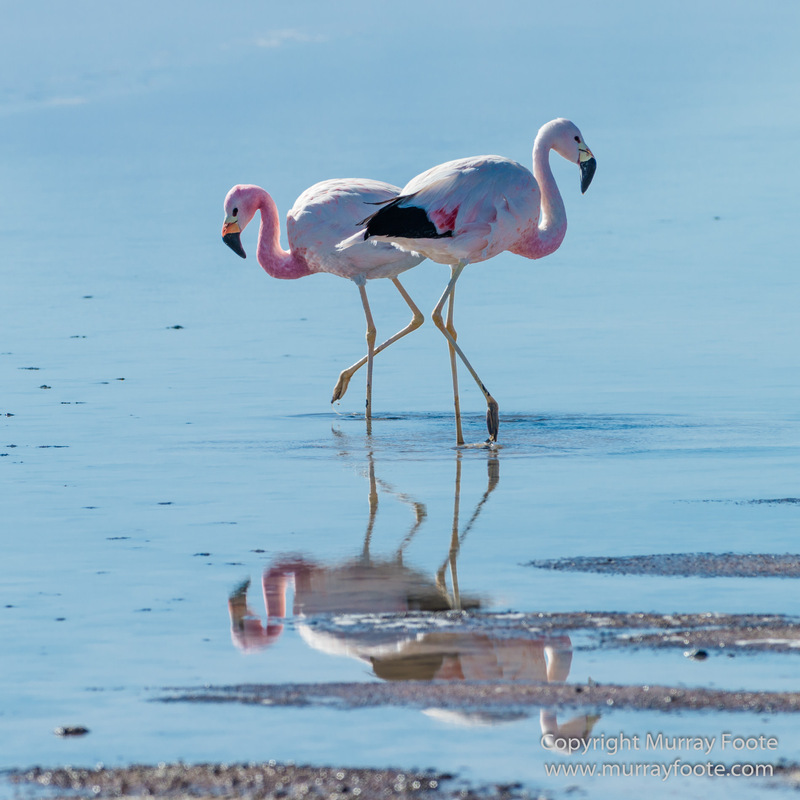 The easiest way to tell them apart from the Chilean flamingos are that the Andean flamingos have yellow legs, whereas the Chilean flamingos have greyish legs with pink joints. 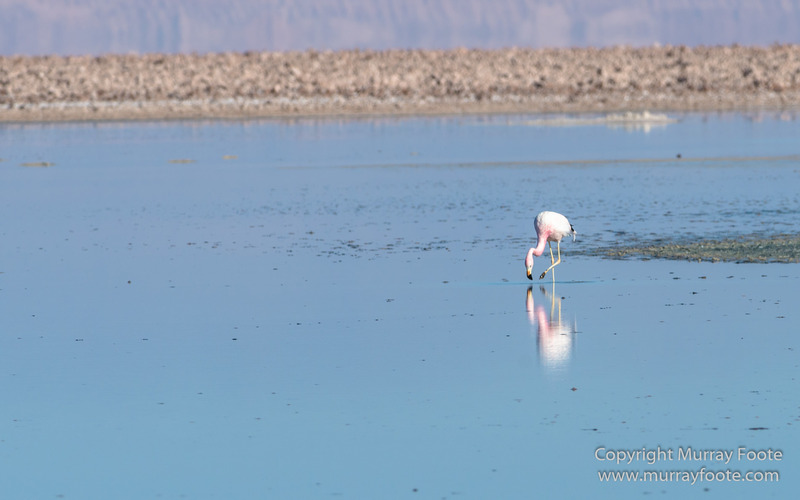 We are at Laguna Chaxa in Salar de Atacama, which is the largest salt flat in Chile and third largest in the world. All three are in South America. 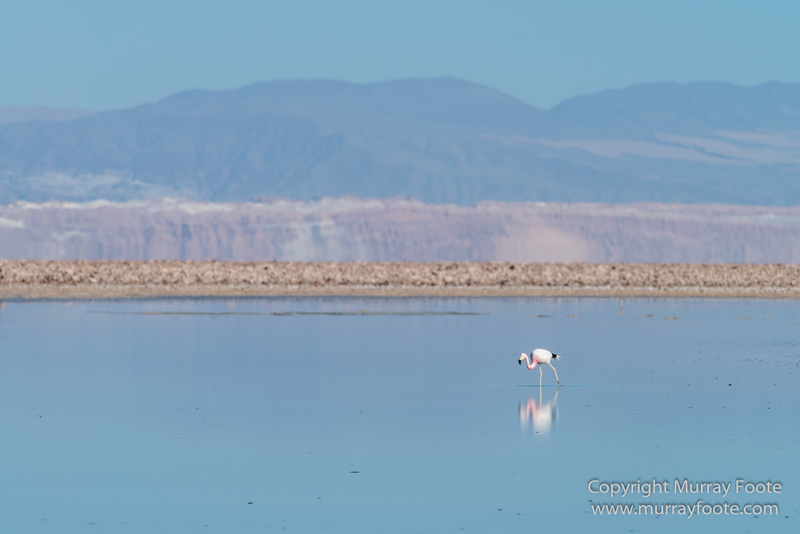 Salar de Atacama is 3,000 km² in area and 100 km x 80 km (which doesn’t seem to add up but that’s what Wikipedia says). 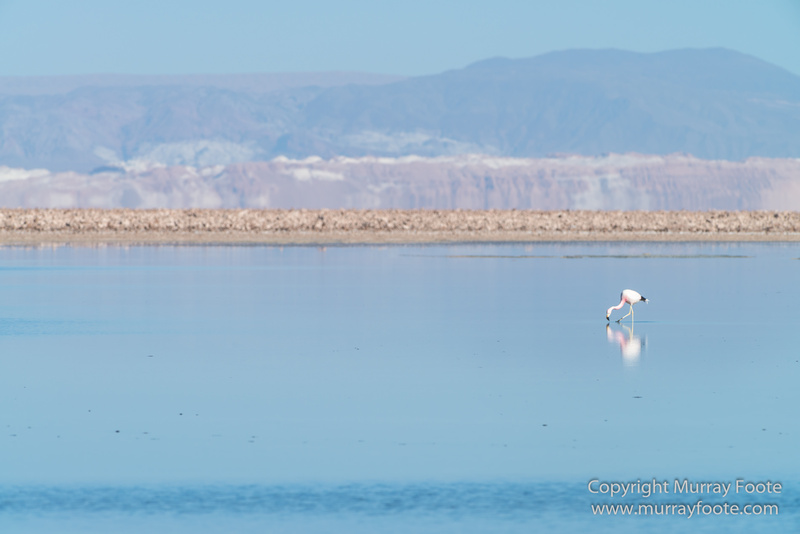 It is 2,300 metres above sea level and 55 km south of San Pedro de Atacama. For those for whom this may be of interest, all images on this page were taken with a Nikon D800 and a 300mm f2.8 lens, mostly with a 1.4x teleconverter, and using a tripod. 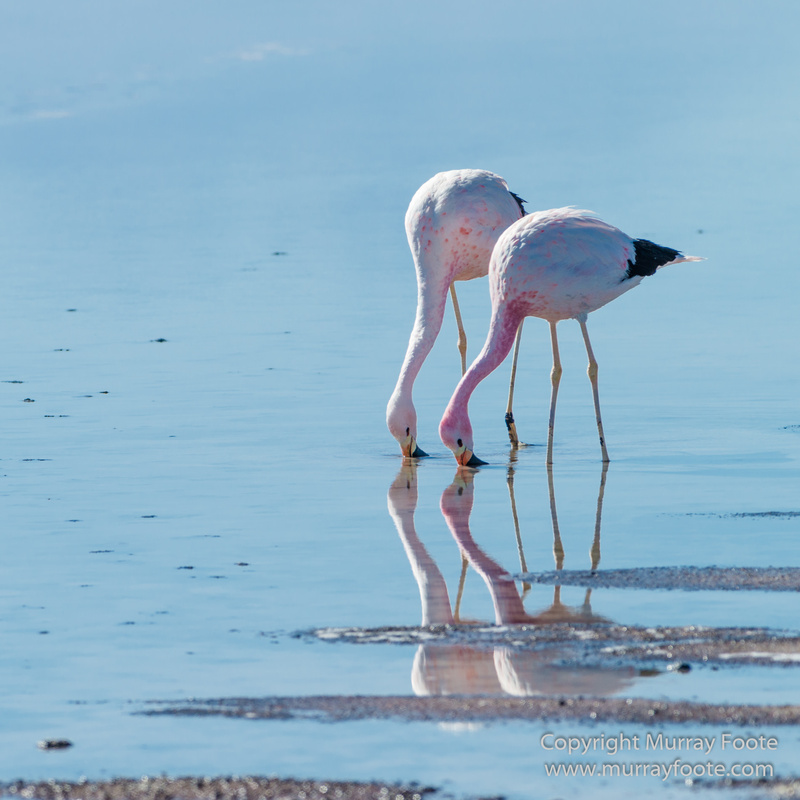 This entry was posted in Atacama Desert, Chile and tagged Andean Flamingo, Atacama Desert, Chile, Chilean Flamingo, Laguna Chaxa, Landscape, Nature, Photography, Salar de Atacama, Travel, Wilderness, Wildlife. Best Flamingo shots ever I declare! 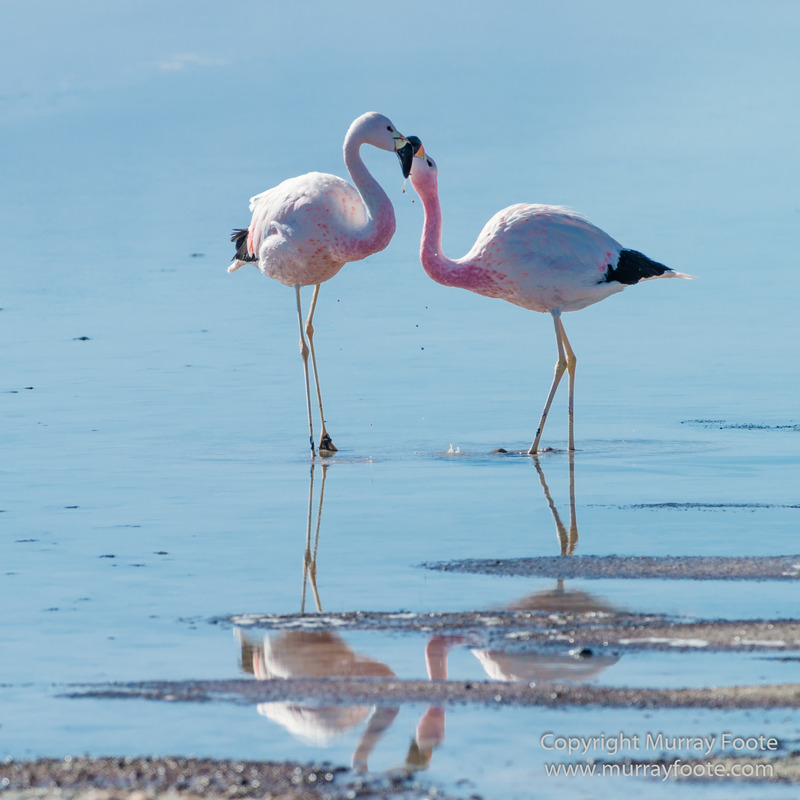 Love the one of the flamingos kissing.